I’ve been doing more editing on my iPhone lately, so naturally I wanted a way to get higher quality audio during videos than the iPhone’s built-in microphone allows. 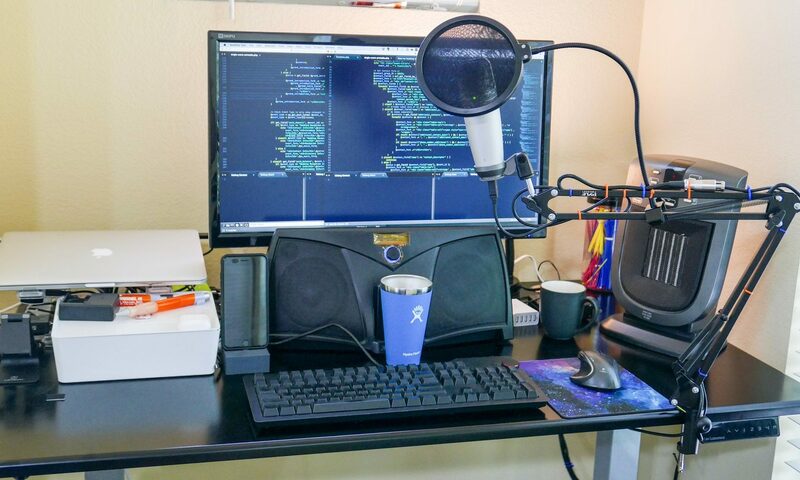 I thought it might also be handy to record podcasts directly on my iPhone, when I didn’t feel like sitting at my work desk. I have used a Sony ECMCS3 Lapel mic for a couple videos I’ve recently uploaded to YouTube, and I really like the way it sounds. 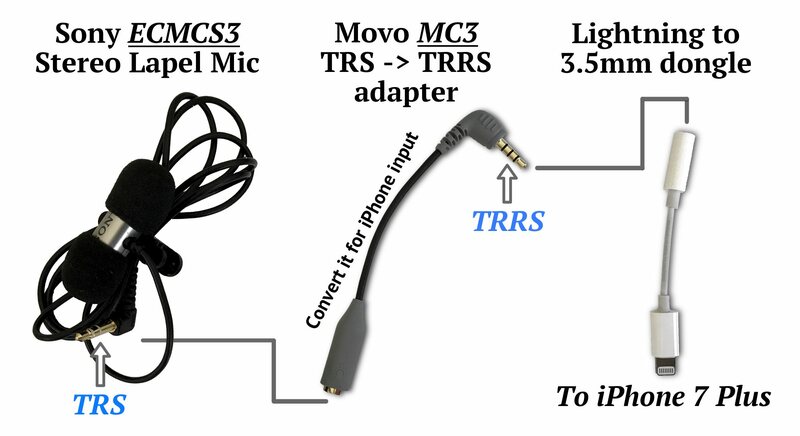 I want to use this mic on with my iPhone, but this mic has a ‘TRS’ (Tip, Ring, Sleeve) input; whereas the iPhone needs to accept a ‘TRRS’ (Tip, Ring, Ring, Sleeve) input. This is because the iPhone wants to have access to 1) left audio, 2) right audio, 3) microphone, and 4) ground. I plugged my lapel mic into the TRS to TRRS adapter, and then plugged that into the Apple Lightning to 3.5mm dongle. I then opened up the Voice Memos app to test it out. It didn’t work. *Frown face* From what I’ve read on multiple Amazon product reviews and other websites, the audio recorder that I normally use with my lapel mic (the Olympus LS-10) must be providing phantom power to the Sony mic, and the iPhone is not providing that power. There are other options for adding microphones to the iPhone via lightning, but I really wanted to continue using this lapel mic that I already enjoy. Sadly, it appears that won’t be possible. Perhaps if I get a splitter for headphone and microphone inputs, and have a pair of headphones plugged in at the same time, the iPhone will see the proper load and use the microphone. I’ll try that next, but for now I’m upset that the adapter I already bought won’t do the trick.